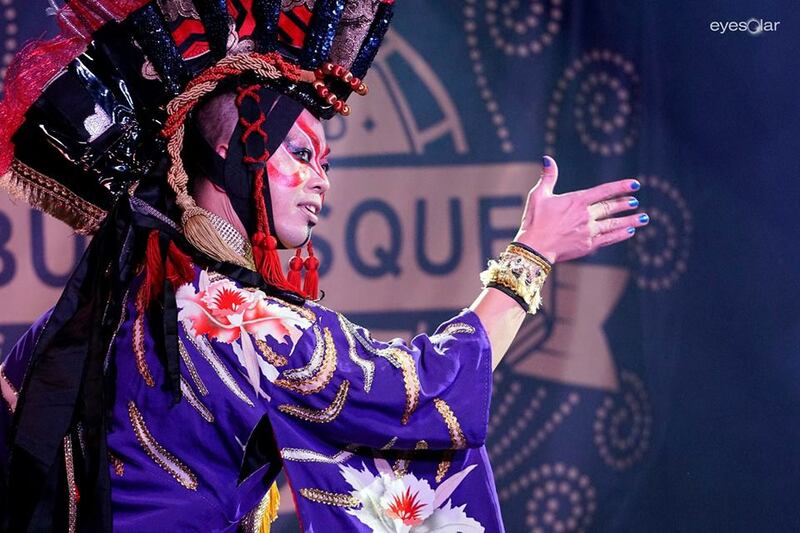 In the second part of our World Burlesque Games recap we chat with International Newcomer Crown Holder 2015, Uma Shadow from Japan. 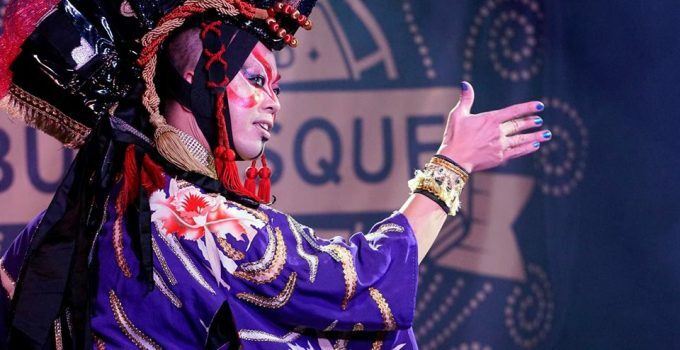 I learned everything I know about burlesque and neo-burlesque from “HIBARI,” she is the leading expert of burlesque in Japan and has greatly contributed to the growing industry there. At the time she was producing the only burlesque event in Japan, I learned about the medium there and my interest led me to do further research of my own. Burlesque for me represents freedom of expression. I was very interested in the work of WBG producer Mr Chaz Royal, for me World Burlesque Games is the most cutting edge event in the world. I love Europe and I wanted to know how my style of boylesque would be received there so I decided to apply for the biggest event in Europe to find out! 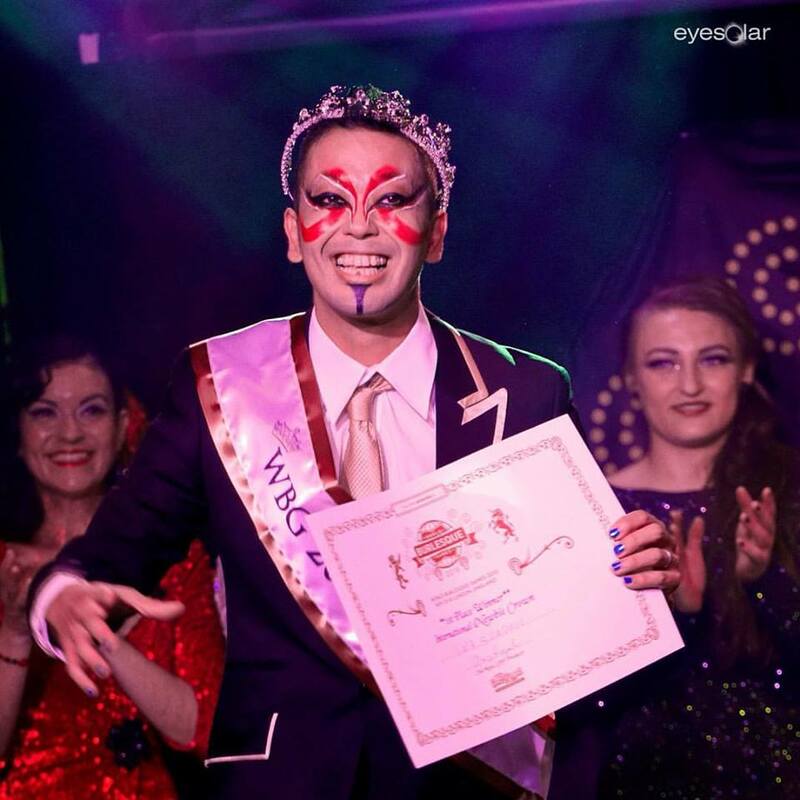 Competing in WBG was a chance to develop the burlesque scene in Japan where I am from so this title has huge meaning to me. Since I won the International Newcomer Crown so many people have gotten in touch with me and I have had so much interest in my performances. Uma is one of the industries most in demand boylesque newcomers world wide, since his WBG win he has gone on to perform in Amsterdam, Berlin, Canada and across the USA.